When you are starting out, you may make some desperate choices about your finances. The habits you form now will affect you for the rest of your life.It's important for you to clear up common money misconceptions, so you can avoid making mistakes. 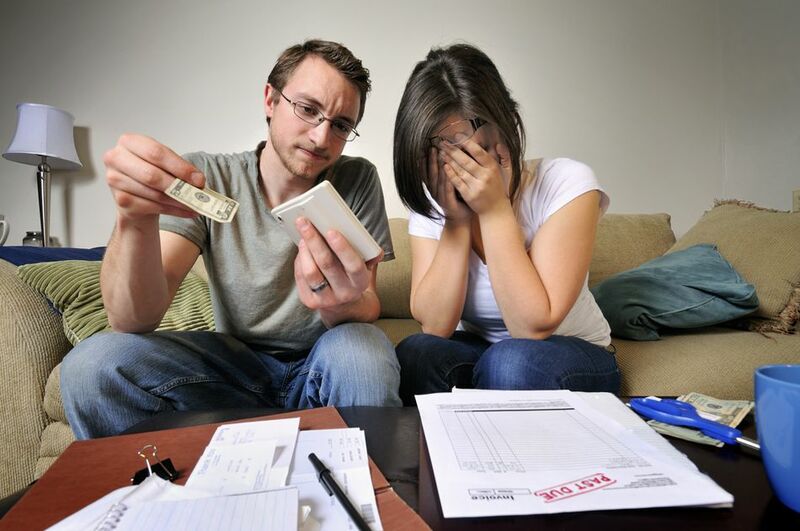 Financial mistakes can be hard to clear up and generally may take a while to fix. Understanding the most common financial mistakes will help you to make better financial choices in the future. Avoiding costly money mistakes or credit mistakes can save you money, time and stress. When you fall behind on your payments, you can create cycle that is hard to break. You will end up paying late fees and other charges each time you fall behind. The first thing you need to do is catch up on your late payments and then address any spending, budgeting or income issues that have caused you to fall behind. This can hurt your credit score and make it difficult to qualify for a mortgage when you are ready. When you use your credit cards to cover the shortfalls in your spending, you can run up a huge amount of debt in a really short period of time. People tend to spend more money when they are paying with credit, and it is also easier to stop paying close attention to your budget when you constantly fall back on your credit card. You need to stop using your credit cards and start following a budget to kick your credit card habit. When you are in a tight financial situation, you may be tempted to borrow money from your friends or your family. When you do this, you put strain on your relationship with them. They may begin to question your financial decisions and feel like they can make comments about your spending habits. They may also need the money back suddenly or you may feel guilty whenever you see them. You should also never loan money to family or friends to save your relationship. When you quit your job, you do not qualify for unemployment insurance, and you may find yourself in a very tight financial situation. It is also more difficult to find a job when you are not currently employed. When you feel that your current employment situation is not good, you should begin looking for a new job right away. This will allow you to find a new job and prevent any gaps in your employment experience. You may even decide to take a pay cut for your new job, but you will be secure in knowing that you have a job and a paycheck coming in. Another big financial mistake is choosing to stay at a dead end job. This can hurt you financially, because it does not give you room for advancement. While you may take a job as a stepping stone or because you are desperate for work, you do need to have a plan to move on to a better job. You need to determine when the time is right to find a new job, as well as the skills that you will need to find a job better suited to your interests. Begin preparing so you can qualify for your new job. When you do not have a budget, you do not have control of your finances. Failing to budget month after month means that you are not taking control of your financial situation. Without a budget you can make decent money and still struggle to get by. It can be difficult to reach your financial goals when you do not have a solid budget in place. Take the time now to set up a budget, and continue to do it every month. You can begin to make better financial decisions if you are budgeting and you know exactly where your money is going each month. When you do not have a financial plan, you will not move forward to reach your financial goals. Your financial plan can help you make sure your spending matches your priorities. Your financial plan will help you decide when you should start investing your money, how much to save for retirement, and other financial goals. Take the time to set up your financial plan today. Your financial goals give you steps to work towards. These goals should be things like home ownership, starting your own business, retirement. If you do not set specific goals, you will flounder. You may never get to the point where you have a down payment save for your home or be in a good position when it is time to retire. Take time to set solid financial goals and review them each year. Many people choose to go without insurance to save money. Your insurance is your safety net. It is there to protect you from bankruptcy and to make sure that you have the things you need. You need to make sure you have basic insurance coverage, including health insurance to protect yourself from problems in the future. Another common mistake is to make a financial choice when you are afraid or you feel a lot of pressure to act right away. When you are afraid, you may not be considering all of the options, and you may end up making a mistake. It is important to take a step back and consider all of your options. You may want to talk the decision over with someone you trust. Another financial mistake is to give into pressure to take a big financial step from buying a new car to purchasing a home to getting married or having a child. You may not be ready for these steps and giving into pressure will not benefit you financially. It is okay to make each financial decision based on your own timing, goals and needs.